What can I expect during my first week on NomNomNow? We know that selecting and changing your fur baby's diet is a big decision. We want our dogs and cats to live long and healthy lives, and nutrition is a critical component. We hope that your research on dog or cat food leads you to select NomNomNow, and want to assure you that we take your pet's transition to fresh food very seriously! Every new NomNomNow customer will receive detailed instructions in their first delivery, along with pre-portioned meals to ensure that their pup or kitty makes a smooth week-long transition to fresh food. During this transition, your pet's body will be adapting to the new food and you may notice a few changes (for the better!). If you have any questions during this first transition week onto NomNomNow, you'll be able to find useful answers to your questions here on our FAQ center, on our website, and in the booklet in your first delivery. Of course, should you need any further assistance, you can always call us at 415-991-0669, or email care@nomnomnow.com and a member of our team will gladly assist you! If your dog is already eating a fresh diet, and you think they may not need a transition, please update their profile section so we can best advise you. (It never hurts to do a transition though, so we typically suggest all customers do a transition week!). 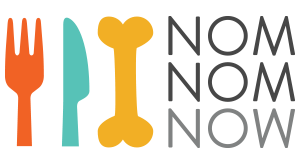 If your dog doesn't do a transition, their first week will be a regular week on NomNomNow! That meals 2 meal packs per day (one in the morning, and one in the evening). Luckily, you'll begin to notice the benefits of fully switching to NomNomNow starting shortly after your dog begins eating with us! What does fresh mean to NomNomNow? I feed a raw diet. Why should I consider NomNomNow? How fresh is the food I receive? How do I know how much to feed my pet? Why aren't fresh diets more common?